Good tidings one and all from everyone at NQ, we're enjoying a jolly festive period and hope that you are too. Worry not, they aren't making me work on Christmas Day, I have the power to schedule articles so I do not require precognition to inform you what will be happening on the site over the next couple of weeks. So as you've had your Christmas dinner and are nursing your food babies, awaiting the airing of the Doctor Who special, playing an infuriating game of charades with your friends and relatives or ripping your presents open with glee, I shall keep this brief so as not to distract you. If you are currently bored out of your mind and need a good film to watch, be sure to check out my Film Advent Calendar from the past 24 days where I have attempted to cover as many genres as I can that you should be spoilt for choice - all those articles are linked together, and the most recent, the Good, the Bad and the Ugly is linked to this article should you wish to peruse them. Over the next few days there will be a few articles published with interesting bits of news from around the city from a number of our regular writers. Practically every pub, club and venue in the city will be doing something for New Year's Eve, so keep an eye out for those if you fancy a wild entry to 2019. 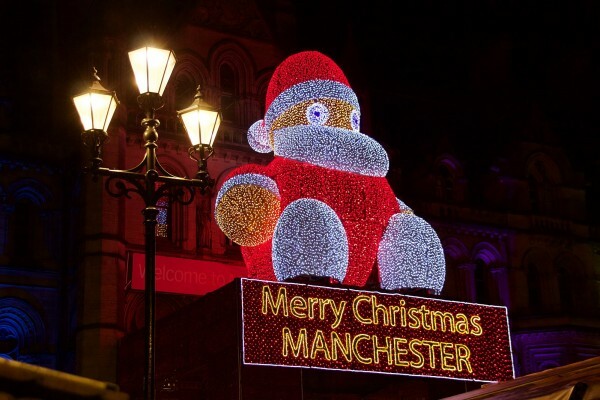 Every day from now until the 5th of January, I will be publishing an article about Manchester's culture, relating, by the thinnest of threads, to the 12 days of Christmas, so check back for those. There will also be a quiz appearing on the 31st, to test your knowledge of the news, mainly from our city, from the past year and on New Year's Day there will be a look ahead to a number of events coming up in Manchester for the coming 12 months. That all being said, I must return to my nut loaf (I'm a vegetarian, no turkey for me), surely copious amounts of wine and watching jealously as the rest of my family eat their weight in chocolate (I'm allergic to milk as well, Christmas is a bittersweet time for me) so all that remains is to once again bid you a merry Christmas, a glorious festival of light, a very belated happy Hannukkah and general good will to everyone not observing festivals at this time! Northern Quota's quiz of 2018: How well can you remember the past year?